I'm linking up with freshly pieced in hopes that I start showing more of what I am working on. It seems that lately I only get the finished product up here. I started cutting out these little squares last week (they are 2 inches each), and sewed them together into one big block. I am a sucker for cute little prints (can you tell??). 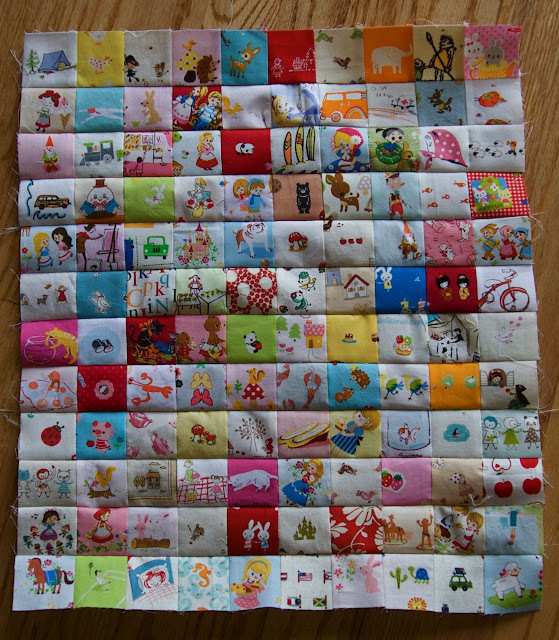 on another note, does anyone out there have the HQ Sweet Sixteen Quilter? Do you like it? Pros, cons?? I have a friend looking into buying one. Do you recommend it? and some exciting news for denver locals, a new quilt shop opening tomorrow! Snappy Quilts (in South Denver, located on the corner of Orchard and University). It's a good one, I've been inside and it's awesome. You will not be disappointed. I'm even lucky enough to get to work a few hours a month, so drop in and say hello! WOW! This is amazing, beautiful, great! That is such an adorable combination. I really need to quilt more. What a fun I-Spy quilt! Ooh, this is incredible! All those tiny little squares, and such adorable prints. So fun. Thanks for linking up with WIP Wednesday. Happy sewing! Yer making my teeth hurt! So, so sweet! Ahhh....that's so cute! Those are some really adorable prints. That nice and that original .. I have been charmed with it ... I congratulate you and thank you for sharing .... kisses from Spain and me I appear to following. I love your selection of cute and kitschy prints. There is almost nothing more satisfying than lots of little squares, but lots of little squares of cute prints is even better! OMG! this block is amazing. what fun. i love your stash. very fun. thanks for sharing it. That is waaayyy to cute! I love how you fussy cut them. Great news about the quilt shop in Denver. I live in CA, but visit family in Aurora on a regular basis, and since visiting quilt shops is an addictive hobby of mine, the GAQF on Hampden was all I found to visit. Too bad I was just there. Love it! I have been itching to get at some of my quilts-in-progress (have been obsessed with knitting for a few months) and I just might start in tomorrow! Darling, darling little prints! 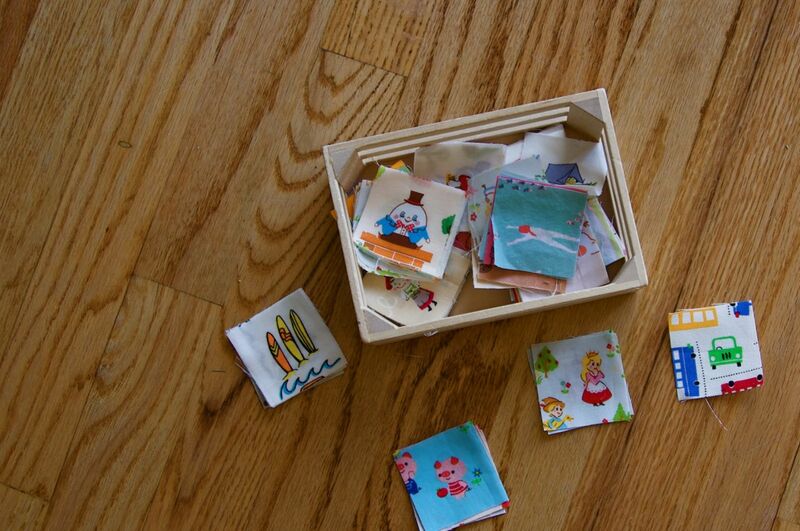 I would love each adorable square to make an I Spy quilt. I've been collecting sweet little prints of a certain scale for 10 years. I haven't cut any of them waiting for some inspiration. Thank you :) Time to start cutting. I love these prints. This is going to be very cute! I have the HQ 16 (don't know difference with sweet 16), but I love it. Only suggestion I have is don't waste your money on the stitch regulator. It sometimes acts up, and it's not even been used that much. With a little practice you can do amazing things without it, if that helps at all. Be still my heart! That's adorable! So fun to work at a quilt shop too! Yay! I wish I could drop by myself. I love your prints:) Can't wait to see the finished product. 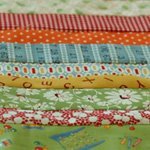 I love all of the fabrics that you used! Thanks Nettie. I'm going to purchase it tomorrow. SOOOOOO excited. Yep, I'm a sucker too for the cute prints. Cute little quilt, I can tell we like the same kinds of fabric. Also great news about the new quilt shop, can't wait to see it next time I'm in Denver! what a lot of tiny squares! question: is it okay to copy and post a picture of one of your quilts if i'm featuring it (with a link) as inspiration on my blog? just checking! hi hydeeann @ splish splash stash, yes, please post a pic, and thanks for asking. i just discovered your blog and am in love. so inspiring - I'm learning to quilt now and your blog will definitely be a part of my reading + learning. thank you!